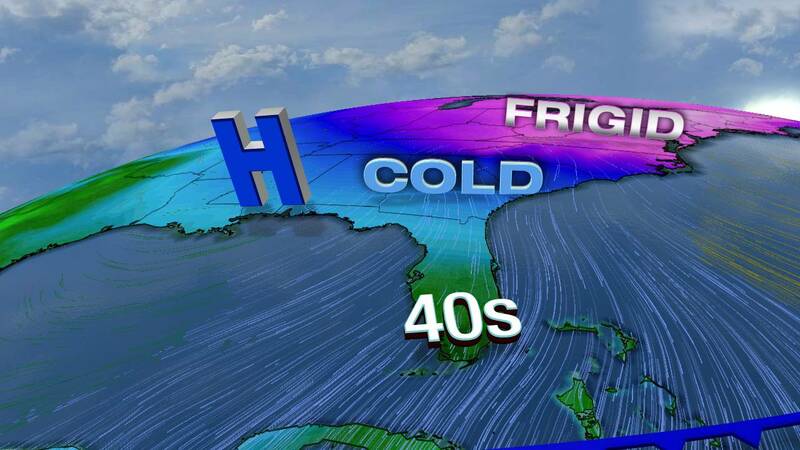 MIAMI - As temperatures are expected to drop to the low 40s and possibly high 30s Sunday night, Miami-Dade and Broward county officials have declared a cold weather emergency. The Miami Rescue Mission and Broward Outreach Centers are providing additional services for homeless people. The Miami Rescue Mission is prepared to house additional homeless people seeking to escape the cold. The Broward Outreach Centers in Hollywood and Pompano Beach will also be ready for people looking for shelter from the cold. The outreach reach centers will give people a meal, change of clothes, bed for the night and other free services. "On nights where it is unusually cold, we can expect to see an additional 60-90 people per campus in both Hollywood and Pompano in addition to those who use our overnight programs," said James Whitworth, Miami Rescue Mission/Broward Outreach Centers director of operations. Miami Rescue Mission: 2020 NW 1st Ave.
Broward Outreach Center Hollywood: 2056 Scott St. The shelters will be open until the Cold Weather Emergency has passed. Temperatures are expected to return to normal by Tuesday. Homeless advocates also urge people to donate donate blankets and cold weather-related items. Anyone interested in donating winter wear can call 305-571-2245 or 800-817-HOPE.